I teach in a fairly challenging environment for "behavior management". As a result, I've devoted a lot of time and energy to refining my teaching to better manage the behaviors in my classroom and help to foster my students' emotional and social well-being. This has been an evolving process, but recently I've learned the power of one simple, two-word question in handling difficult situations and restoring a positive classroom climate. 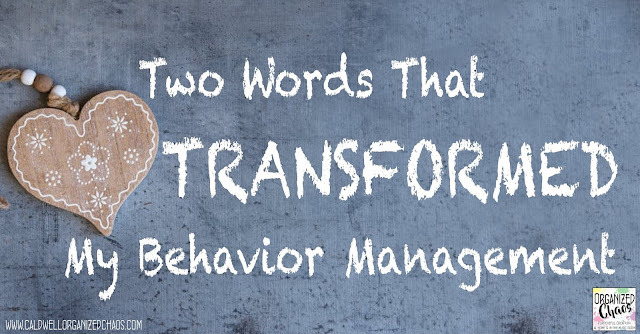 I've written a lot about behavior management strategies over the years- if you'd like to read through those I've compiled those ideas and strategies in this blog post. If you follow my progression, you'll see that over the last few years I've moved away from superficial, extrinsically motivating systems to routines and processes that foster positive character development, relationships, and classroom environment. Some of that progression came from my own reflections on what was going on in my classroom, and some of it came out of some very specific (and quite extensive) training that I've been working through on positive school climate and Restorative Practices. Although there are a lot of things that have come out of that training that I'd like to discuss further, today I want to share one simple strategy that I learned that any teacher can easily implement in their classroom tomorrow: the question, "what happened?". It seems simple enough, and when I first encountered the idea, I thought it was something I already did. But when I started paying attention to what I was choosing to say first to an upset or misbehaving child, I found that I often either led with a statement, like "you're (insert inappropriate behavior here)", or some other question, like "why would you do that?". An upset child will generally either just get more upset or be unable to answer when faced with those statements or questions. What I have found does work is to ask the child what happened and then wait and listen. Children may not know why they misbehaved, why someone else did something to them, what they're thinking in that moment, or what series of events got them into the bad situation they now find themselves, but they can start to recount events, at least from their point of view, when asked what happened. And I've also found that, at least for the majority of my students, one of their most fundamental and basic needs is to be heard. I've found they're a lot more willing to accept responsibility for their actions and a lot more perceptive of what is going wrong and what needs to change when they know that they are actually being heard. Two words: "what happened?". That's it. Stop. Wait. Listen. As the end of the school year approaches, emotions can run the gamut and tension can often rise. Why not test the strategy and see what happens? To learn more about Restorative Practices, you can find some basic information on this website. As I explore further how this philosophy plays out in the elementary specialist context, I'll continue to share my thoughts on the subject. 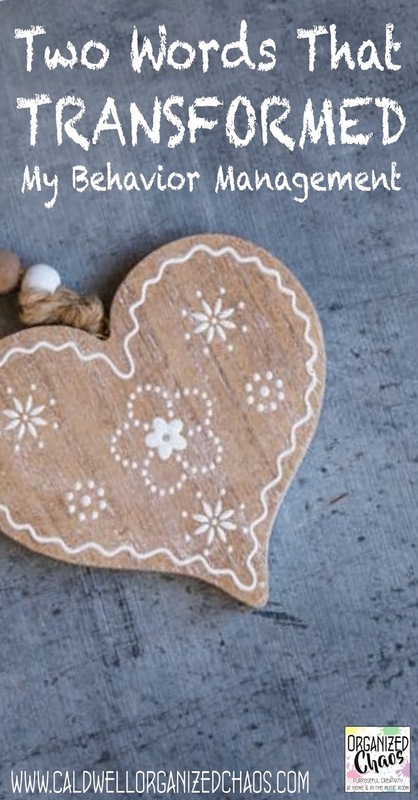 If any of you have explored Restorative Practices, I'd love to hear from you as well! I hope this question helps you and your students to maintain a positive spirit through the end of the school year and beyond. Want more? Sign up here for the Organized Chaos Newsletter and get more ideas and resources sent straight to your inbox. It's the easiest way to stay in touch and in the know! It's so simple isn't, it, yet so profound. I think the most important thing you said came after the "what happened"... WAIT. When I was an inexperienced teacher, I felt like I had to admonish the behavior and talk TO the children. We often (myself included) forget that the words and thought processes take time to spill out and it happens in the stillness and quiet of our response. Oh, it is so hard sometimes to be patient when 20 other kids in the class are waiting for you to return from outside the door, or to be still in that moment of discomfort. In the end, the child knows that we care by quietly supporting them; listening and waiting for a response. Absolutely! I had 2 such conversations today, where I had to wait quite some time for a response. Sometimes I have to stop waiting to address the rest of the class, so I'll tell them to think and I'll come back in a minute, which still seems to work. Usually when I come back I find they've been thinking carefully about their answer. it's also important to give plenty of processing time. i have found with my son who is 12 and has severe anxiety that he needs time to process what i'm asking when he is in an elevated state. don't rush the conversation if you can help it. Absolutely! That is so true. Does that work for middle school aged students as well? Yes, absolutely! But they need to be in their rational mind when you ask. If they're still very upset/ emotional I'll tell them I want to know what happened but I want them to have a chance to calm down before they explain, and I'll ask them to go sit somewhere quiet to calm down first.